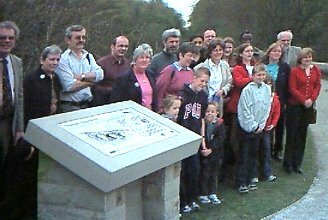 On the afternoon of 14th April 2003 a commemorative information plaque was unveiled to celebrate the life of the late Dr Cyril Boucher, a former resident of Marple and a leading force behind the restoration of Marple locks. 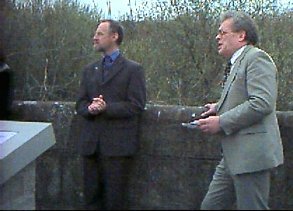 Dr Boucher was also a staunch supporter of the restoration of the national canal system and regular lecturer for the Marple branch of the Workers Educational Association. The event was attended by Dr Boucher's children, John, Janet, Hilary and Andrew with their own families. They were joined by representatives from the Inland Waterways Association, British Waterways, Andrew Stunnell MP, former members of the Peak Forest Canal Society, other waterway societies, the Canal and Railway Historical Society, plus old friends and former students. The proceedings were introduced by John Fletcher, the National Chairman of the Inland Waterways Association with a response from Dr Boucher's eldest son on behalf of the family. 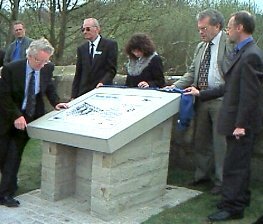 The plaque, which is located at the Marple end of the Aqueduct, is an eminently suitable reminder of an extremely talented, practical and modest man. 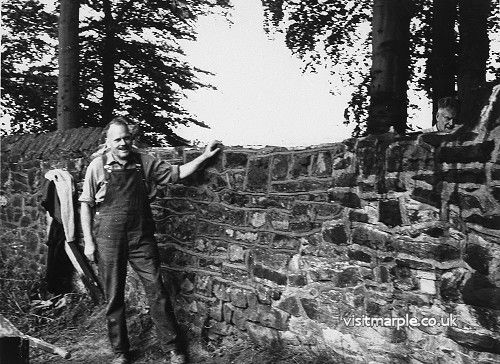 It is also a fine public acknowledgement to the debt of gratitude that the people of Marple owe Dr Boucher for his instrumental role in saving our greatest remaining heritage asset for future generations.